Oscar turned 90 last week, but it's anybody's guess if he'll make it to 100! Lower ratings were likely since the best picture nominees weren't widely seen, but 26.5M average viewers is grim -- the lowest in 9 years and down 19% from 32.9M in 2017. Clearly, the Academy must fix a few things. 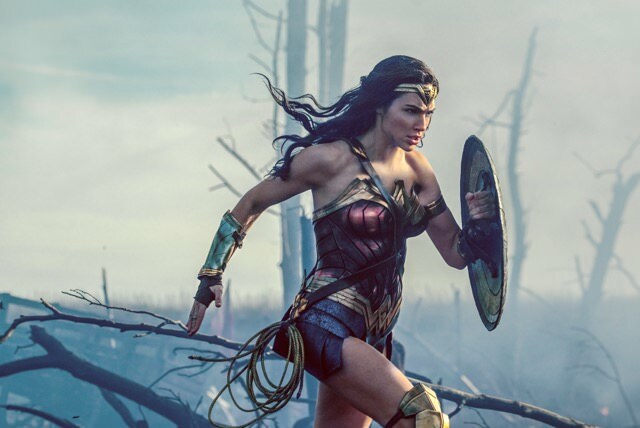 First, it's absurd to ignore popcorn movies like "WONDER WOMAN" (pictured) that people love. By applauding the indie dramas critics groups and festivalgoers love, Oscar's forgetting that viewers outside of big cities can't even see most of those films. People don't root for movies they haven't seen, so this is a surefire recipe for disaster. Oscar's TV audience skews heavily female and they tune in to see glamor – designer gowns, glittering jewels, shoes to-die-for. So it's a big mistake not to be asking, "Who are you wearing?" A 4 hour show is impossibly overlong. Cut the song numbers. Slash the self-reverential classic film clips. Drop the patronizing stars-meet-ordinary-people stunts. Jimmy Kimmel's a good host, but why not give him more to do and let him be funny? Note to Academy members: The movies people care about are the ones they pay to see. "BLACK PANTHER" held on to first place again with $41.1M (-38%) for weekend 4 and $562M domestic, but it was another down weekend for Hollywood vs. 2017. Disney's "A WRINKLE IN TIME" (pictured) was the best of the newcomers, opening second to $33.3M. But this time last year, "LOGAN" launched to $88.4M and went on to do $226.3M domestic. A year earlier, "ZOOTOPIA" arrived to $75.1M and did $341.3M domestic. 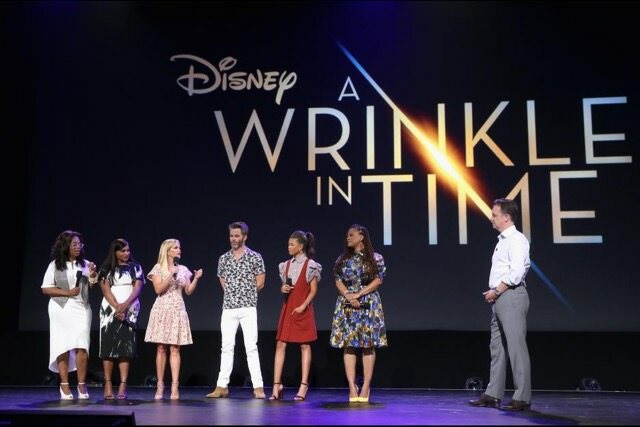 "TIME's" audience, Disney said, was 57% female and 54% adults. Its two largest age groups were 26-34 (22%) and 35-49 (21%). "BP," per Disney/Marvel, is now the #7 domestic release ever, passing "THE DARK KNIGHT" ($535M). That gives Marvel "the top 2 superhero films of all-time (#1 is Marvel's 'THE AVENGERS' with $623M)." Its international cume is $516.6M -- including its strong $66.5M China opening -- bringing its global total to $1.1B. Disney/Marvel also has Hollywood's next 800 pound boxoffice gorilla – "AVENGERS: INFINITY WAR," opening globally Apr. 27. Last weekend's ticket sales, per comScore's Paul Dergarabedian, were $142M, down 13.6% from $164.4M last year. 2018 is up 7.6% vs. 2017, but a week earlier it was up 10.9%.